The Academy of Laser Dentistry (ALD) trains dentists and oral surgeons to use the latest cutting edge laser technology for oral care. Laser technology brings a wealth of health benefits to the dental industry. Patients report less pain, reduced recovery times and improved treatment outcomes, which has led to an increased demand for laser-based dental treatments. This page will review the basics about laser dental technology and how it is making dental surgery both easier and much less stressful for patients today. Reduced cost. Because lasers reduce swelling, bleeding, discomfort and recovery times, typical procedure costs are reduced across the board. Less anesthesia is needed and fewer follow-up visits are required, further reducing procedure costs. Most importantly, procedures that may have required general anesthesia in a hospital setting can often be done as in-office outpatient procedures instead. Improved outcomes. Lasers not only provide the ability for intensely precise treatment but they also neutralize bacteria and toxins in the process. So surgical outcomes are improved and after-effects are greatly reduced. Decreased discomfort. The use of lasers, with their speed and precision, has been shown to significantly reduce the discomfort traditionally associated with certain types of dental surgery. Procedures take less time and are much less invasive when lasers are used for treatment. Versatile usefulness. Lasers can be used in a wide variety of dental procedures, from cosmetic dentistry to treatment of cavities, root canals and gum disease. This has reduced the need for dentists to refer out to other specialists, saving patients time, money and stress. Instead, procedures can be completed quickly in one visit so patients can get back to their regular daily lives. What Types of Procedures Can Lasers Do? Removal of lesions and/or tumors. If you suffer from cold sores or canker (mouth) sores, or you have benign mouth tumors, lasers can treat and remove these quickly and painlessly. If you need a cancer biopsy for a suspected malignant tumor, a laser can make obtaining a tissue sample simple and quick. Tooth decay. Lasers can make removing decay and filling cavities fast and easy by detecting decay more quickly and reducing the need for tooth preparation and anesthesia. Gum disease. Lasers can quickly zap away bacteria and neutralize trapped toxins while reshaping gums for a more pleasing smile. Cosmetic dentistry. The use of lasers can make in-office teeth whitening much faster and more effective. Lasers can also even out the appearance of your smile. TMJ. 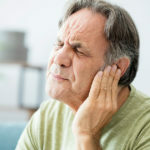 Temporomandibular jaw joint syndrome can respond very positively to the use of lasers to reduce inflammation, pain and stiffness in the joint area. Tissue and nerve treatment. Lasers can restore nerve function, reduce tissue overgrowth in gums or throat (a common cause of sleep apnea), treat limited tongue movement (frenulectomy) and other oral health issues related to nerves and soft tissues. The latest methods in laser surgery use a multi-wavelength laser to remove decay, break up plaque and calcium and sterilize the surrounding bone and tissue. 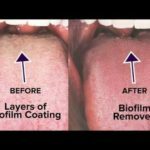 Each laser fiber is only the width of a very fine human hair, so it causes little to no discomfort as it works to clean and heal the affected area. Best of all, the use of the laser promotes clotting and tissue regrowth, which is at the root of faster healing times. Boynton Laser Dental Center is an industry leader in the use of cutting edge laser technology for dental procedures. Founder Dr. Harvey Shiffman has recently been awarded a Fellowship in the Academy of Laser Dentistry for his ground-breaking work with laser technology in the South Florida and surrounding areas. Over the past decade since laser dental technology was introduced, Dr. Shiffman has successfully performed literally thousands of laser-based dental procedures. He is certified in all three of the laser systems approved for use in dental practices today and is passionate about providing his patients with treatments that minimize discomfort and maximize outcomes.